For over thirty years, ACC Telecom has specialized in low voltage network cabling services in Columbia, MD and surrounding areas. We are fully insured and licensed to install voice and data cabling services throughout Maryland, Virginia, and Washington, D.C. Whether you require structured cabling for new building construction, building remodeling, or are adding/replacing existing telephone cabling, ACC Telecom has the longevity and experience to exceed your expectations with our Columbia, MD cabling services. We offer the best in Cat3, Cat5, Cat5e, Cat6, Cat7, and Coaxial, as well as plenum or non-plenum structured cabling. Beginning with a thorough site survey conducted by one of our certified cabling technicians, ACC Telecom will design a customized network cabling infrastructure, wire management, and rack design specifically for your company’s needs. Additionally, we offer complete voice and data services including the Internet, digital PRI circuits, robust VoIP / SIP circuits, cloud solutions, full IP phone systems and surveillance camera solutions. By coupling our ACC-designed Voice over Internet Protocol (VoIP) technologies and structured cabling services, your company will benefit from networking multiple offices and remote users across your current or proposed WAN backbone investments. 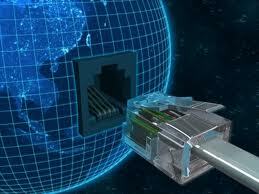 ACC Telecom performs full network assessments in addition to network designs. Our engineers will assess your current network platform prior to your next investment to help guarantee your network is capable of handling the types of applications your business requires. Please contact us for more information on Columbia, MD cabling services, voice and data cabling services in Columbia, MD, or to schedule a structured cabling site survey for your Maryland, Virginia, or Washington, D.C. business.